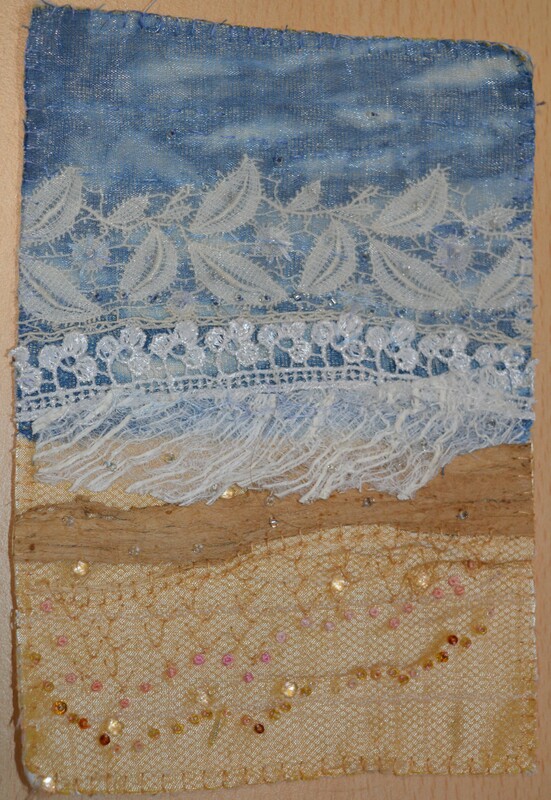 This entry was posted in embroidery, The Travelling Sketchbook and tagged beach theme, Embroiderers Guild, embroidery, seaside, Travelling Sketchbook. Bookmark the permalink. Oh, this is fabulous! I have two questions: what size is this piece (or the sketchbook pages) and what is vilene? I’ve seen the word frequently but haven’t bothered to look it up or figure it out for myself. I’m guessing some sort of interfacing material. Hi Sue, it was made to go in an A5 book, so it was about 4″ by about 6.5″. 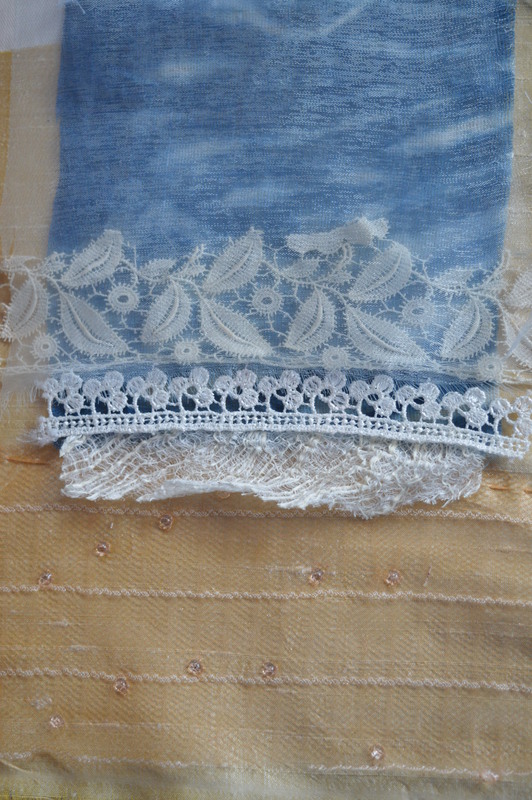 Vilene is a non woven interfacing, this was the iron version. Ah, so I was close in my guesses on both counts. 🙂 Thanks for the info! 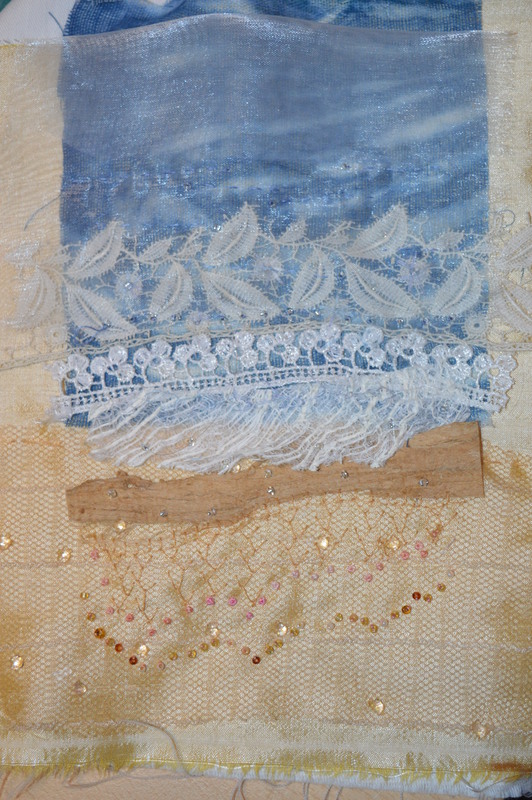 I love sea inspired stitching and as always your work is wonderful. how lovely…. 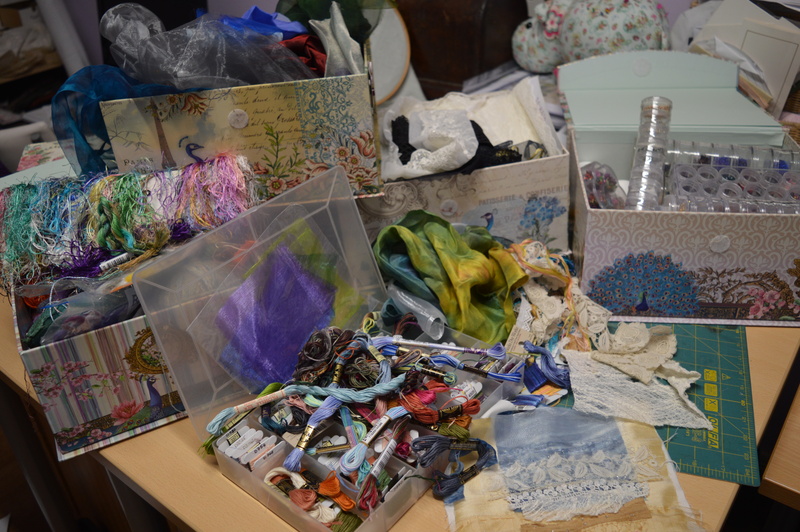 it all came together so beautifully… and there are so many s things in there. I especially love how you found the fringy effect for the way the water foams on the sand at the ebb of the wave! I’m not even sure what they call that stuff but it was perfect for the waves! It’s beautiful, it all works so well together! Oh my gosh! This sings to me so loudly! I love it and would buy it if it was for sale! My whole house is decorated in blues and taupes, my favourite colours are blue and taupe, I actually live by the sea and on the sand! Of all my stitching and any artwork I’ve done, the favourites are in those colours. You’ve grabbed my attention and imagination with this one! I can tell you definitely have experienced the sea! This brings me visions of ocean beaches! 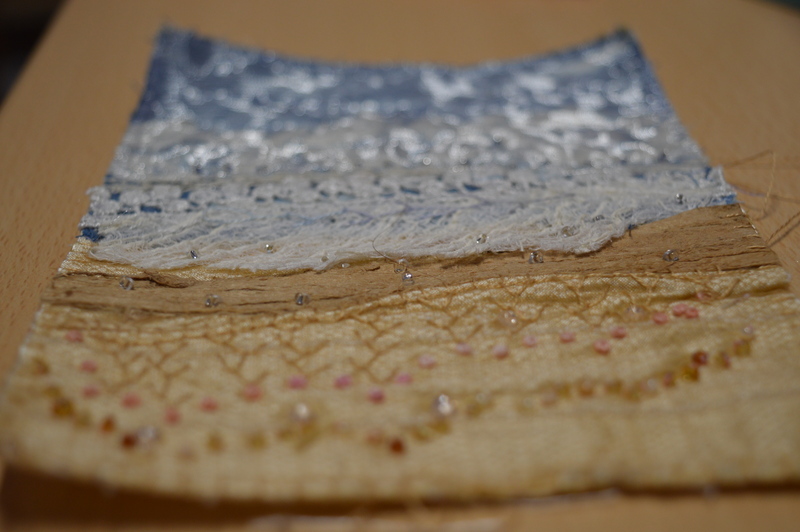 love all the different layers & textures! This is wonderful! So creative and fits both the ‘s’ theme and the sea theme perfectly. You’ve captured the colours and textures of the waves and sand beautifully!